Select a city or enter your desired location into the search bar for help. Florida is the Mecca of assisted living, independent living and retirement living. For those seniors who are not tied to a specific location based on their family and friends, Florida is a magnet for seniors. Florida is rated as the 28th most expensive states to retire. Although Florida does not have a state income tax, it does have some small ad valor-em tax. It also has a relatively high property tax rate. This high property tax, in conjunction with a high sales tax, is the main reasons for Florida's high cost of living. The cost of living is primarily a issue for those with a limited retirement budget. Many of the couples and widowers that move to Florida are have significant retirement funds and are primarily interested in amenities that Florida has to offer. Of course, most people move to Florida to retire because of the weather. Warm winters and high humidity are the best combination for those that suffer from joint aches and pains. The abundance of sunshine and warm breezes in the coastal areas make for ideal conditions for many seniors. The Agency for Health Care Administration is responsible for inspecting all Florida assisted living facilities. They perform annual inspections and you can access copies of the inspection reports by contacting the Agency of Health Care Administration's Public Records office at 850-414-6044. Myflorida.com: Don't ask me why they are a dot com. These government resources are key to finding the best senior living options including Florida assisted living facilities. This directory includes 5417 assisted living options for Florida. Use the "Advance Search" to find the nearest 40 senior services based on your desired location or select a city and then choose a tab to see different types of senior care including nursing homes, Alzheimer's care centers, CCRCs, independent living, in-home and hospice care. Here are the direct links to Fort Lauderdale Nursing Homes, Fort Myers Nursing Homes, Gainesville Nursing Homes, Jacksonville Nursing Homes, Melbourne Nursing Homes, Miami Nursing Homes, Orlando Nursing Homes, Palm Coast Nursing Homes, Port StLucie Nursing Homes, Tallahassee Nursing Homes, Tampa Nursing Homes, West Palm Beach Nursing Homes, St. Petersburg Nursing Homes, or use the advanced search and limit your results to Nursing Homes. 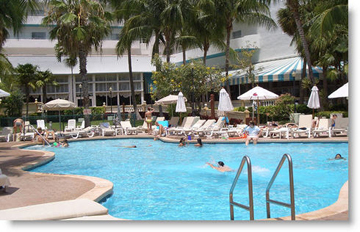 The second main attraction for Florida is the huge availability of activities. In addition to beaches, Florida has an abundance of golf courses and golf communities. The lack of elevation in most Florida cities also makes it an excellent place for riding a bike including cruiser bikes. The ability to bike or walk to the mall, grocery store or an entertainment venue make Florida senior life great for those without a car or the ability to drive. The area also has an abundance of sports teams for those who still enjoy spectator games. For those interested in more artistic attractions, Florida has an abundance of museums, galleries, symphonies, operas, and other cultural events. This also includes many annual events such as art festivals and music festivals. This huge supply of points of interest and attractions in Florida can also be a big attraction to seniors who want to have their family visit them frequently. Since Florida is a tourist attraction in both the summer (spring break, summer vacation) and the winter (Christmas vacation), many seniors feel that living in Florida is great because it is easy to get their friends and family to visit them every year. Another contributing factor is the popularity of Florida as a retirement community is the growing amount of businesses that cater to seniors. Because so many people have already chosen to live in this area, many facilities have been built to supply the local senior population. In fact, Florida continues to maintain momentum as more and more independent living, assisted living, and nursing homes are built in the area. If you are starting to plan for your retirement and you love the water or suffer from some kind of joint pain, then Florida may be the perfect place to find an assisted living or independent living facility. As you're making your overall plans, you want to select facilities for all phases of your health. You may start in an active senior retirement community but it is wise to make a backup plan for at least temporary residency in an independent living facility.